Should You Convert IRA Money to a Roth IRA? Anyone can convert pre-tax IRA funds to a Roth IRA account. You pay tax on the amount you convert, but from that point forward the funds grow tax-free in the Roth account. You are in a low tax bracket now and anticipate you will be in a higher one later on when you will need to withdraw from your retirement accounts. You anticipate you will never need to use a portion of your retirement assets and you want your Roth IRA to pass along tax-free to heirs. Ask yourself the five questions below to help determine if these circumstances apply, and thus if a Roth conversion makes sense for you. 1. Do You Have Tax Deductions That Exceed Your Income This Year? When you have a year with plenty of deductions and not much income, you will want to take a close look at converting all, or a portion, of your traditional IRA to a Roth. You would want to run a tax projection so you could match the right amount of income against your deductions. It may also make sense to convert enough to fill up the 10% and 15% tax brackets if you think you will be in a higher bracket later when you may need to use the Roth funds. As you are looking at tax brackets keep in mind that Roth IRA distributions are not included in the formula that determines how much of your Social Security income is taxable. This means Roth IRAs can provide an extra benefit in retirement that may not be immediately apparent. Traditional Roth conversion calculators that simply estimate marginal tax rates now vs. later neglect to point out many of the tax benefits of Roth IRAs. You must use a multi-year tax projection and factor in Social Security taxation, Medicare premiums, capital gains tax rates, required minimum distributions, and many other things to truly determine if a Roth conversion works to your benefit. 2. Do You Have Sufficient Funds Outside of Your IRA to Pay the Extra Income Taxes? If you convert $50,000 from an IRA to a Roth, that's $50,000 more of income on your tax return. At an effective tax rate of 20%, that would result in an additional $10,000 of taxes owed. You do not want to have to take an even larger withdrawal from your IRA to pay the tax on amounts converted to the Roth IRA. Make sure you have sufficient funds in non-retirement accounts that you can use to pay the tax - and still leave yourself with an adequate amount of cash reserves. If you do, then a Roth conversion may be right for you. 3. Will You Have Sufficient Income From Non-Retirement Account Sources to Support You in Retirement? If you will have a sufficient income stream from non-retirement account assets like rental property, after-tax investment accounts, municipal bonds, or other such sources, and a small amount of assets in traditional retirement accounts, then you may want to consider converting your retirement accounts to a Roth. You'll avoid future required minimum distributions that could bump you into a higher tax bracket later. 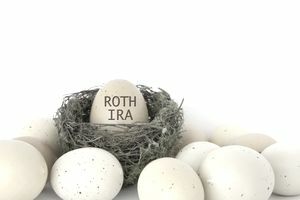 If you will need income from your retirement accounts, a planned strategy to convert IRA assets to a Roth in low income tax years may still be to your benefit. In many cases, you can intentionally plan to delay the start date of Social Security benefits while converting to a Roth in those low income years before Social Security starts. For many retirees who expect to have a retirement income that is less than $90,000, this strategy can lead to an overall increase in after-tax income. 4. Do You Have Enough Retirement Assets That You Anticipate You Will Not Need to Use Them All to Support Your Lifestyle? If you have a large amount of money in retirement accounts; enough that you would not use it all for your own needs, then converting the portion you won’t need to a Roth will allow you to pass that portion along to your beneficiaries income-tax-free. Any non-spouse beneficiary who inherits a Roth IRA must begin taking distributions out over their life expectancy, but the way the rules work they can stretch out these tax-free withdrawals for many, many years, allowing the investments inside the Roth to continue to accumulate tax-free gains. 5. Will Your Assets Have Enough Time, and Be Invested in a Manner That You Anticipate You Will Be Able to Recoup the Upfront Money You'll Pay in Taxes? The younger you are, the more time your funds inside a Roth have to grow tax-free. But retirees can benefit from Roths too! Suppose you convert some funds from a Roth from age 60 to 65. Those funds could have twenty years to grow and become a valuable source of income for a surviving spouse who will then be filing at single tax rates. With twenty years, the Roth funds can be invested more aggressively, giving them the potential for large tax-free gains. This can more than make up for the taxes you'll pay when you convert to a Roth - especially if you convert in a year where your income is low. If Roth funds have time to grow and can be invested aggressively they can become a powerful tool that can help make your retirement years more secure.